A CADILLAC XT5 for Oklahoma City Here in Norman! 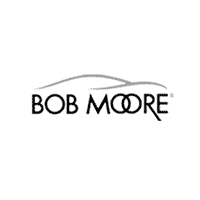 The Bob Moore Auto Group has been providing vehicles, from all sorts of manufacturers, to the Oklahoma City area, including a top-tier name brand in luxury vehicles: CADILLAC. When it comes to finding an exceptional new SUV for your family’s adventures, consider the 2018 CADILLAC XT5, right here at Bob Moore Auto Group. Your family’s comfort and safety come first which is why the drivetrain of the XT5 is designed to give you a smoother and much more controlled ride. The XT5 is available in front wheel drive, with three select driving modes: Touring, Snow and Sport, each one designed to provide either optimal traction (in Snow mode) or can alter the drive train to be much more engaging and fun (in Sport Mode). If you want a bit more control, for that drive to Moore in the snowy weather, consider the XT5 SUV’s Intelligent All-Wheel Drive and Real-Time Dampening to adjust the wheels and suspension to the conditions of the road and provide optimal traction to the wheels. You’ll find there’s a lot more to see on the CADILLAC XT5, when it comes to a luxury SUV. Explore some of the best the XT5 SUV has to offer in terms of premium comfort, technology and powertrain and test drive one today here at Bob Moore Auto Group. We’re conveniently located at 6400 North Interstate Street in Norman, OK and are proudly serving the Edmond area as well. See you soon! 0 comment(s) so far on A CADILLAC XT5 for Oklahoma City Here in Norman!